Weddings are a special occasion for everyone involved; whether you be a bride, bridesmaid, mother of the bride or simply a guest. When choosing your jewellery, there are many things to consider: the neckline of the outfit, how you are having your hair and what types of jewellery suit you (whether it be necklace, earrings, rings or a bracelet). Personally, I prefer wearing simple and elegant jewellery and will often opt for a pair of small earrings, a simple necklace and an eternity ring. My preference is simple is better, especially when it comes to jewellery for weddings. I have provided some options for jewellery that I think would be perfect for a wedding. Some of the options will still be available in stores, however a couple of pieces were purchased a few years ago, although there will be alternative options available from other brands. All of these options are beautiful and would work with any outfit. Also they would be great choices if you are a bride, bridesmaid or a wedding guest. 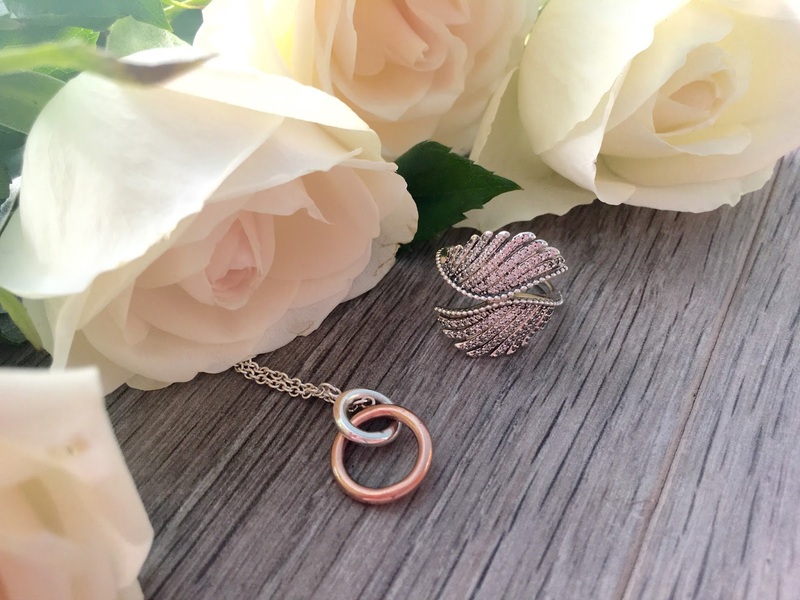 I love mixing the types of metal I wear; especially rose gold and white gold or silver. I think these work so well together and would look beautiful at a wedding. I recently was given the rose gold and silver Links of London necklace for my 21st birthday. I love the interlinking chains and would probably be more appropriate for a wedding guest or would be beautiful presents for bridesmaids and flower girls. Sticking with the mixed metals theme, I am in love with my rose gold and white gold Swarovski eternity rings that were also a present for my 21st Birthday present. 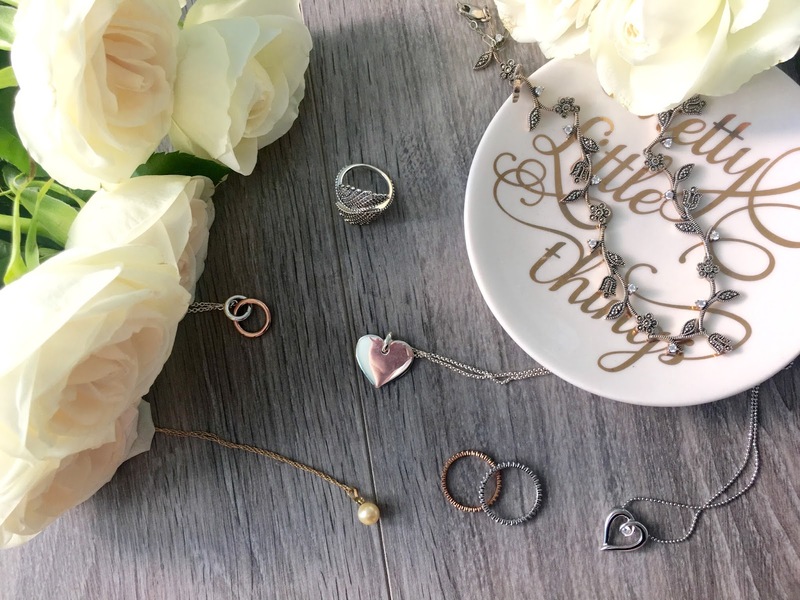 I don't like to go over the top when it comes to rings and I think these are absolutely stunning and just add a hint of sparkle to your outfit. If you want to go for a slightly larger ring then this one from Pandora is stunning and I like the fact that there is a hint of sparkle in the feather; however I think this would be more appropriate for a wedding guest than a bride. I love pendants and I think they look so simple and elegant. The solid silver pendant is from Thomas Sabo and would once again be a perfect present for your bridal party. 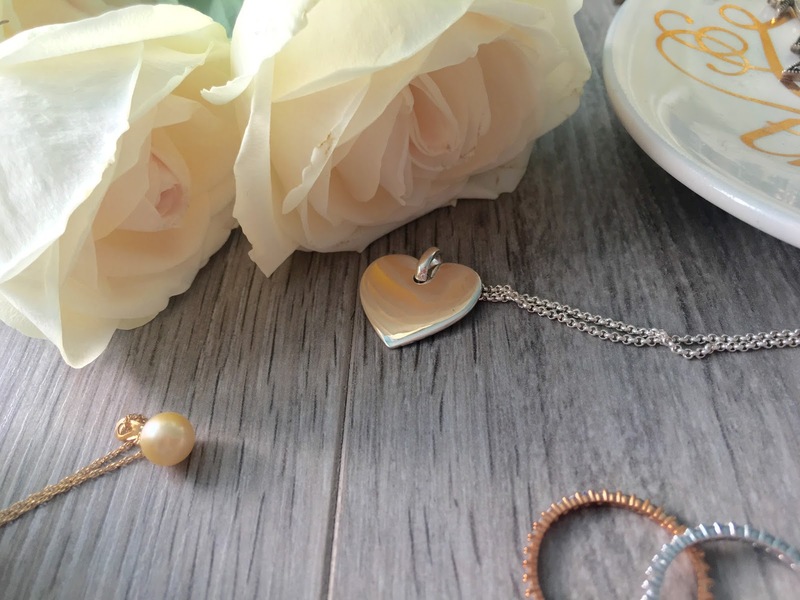 You could get them engraved with the date of the wedding or even put their names on the pendent, so everyone has something that will remind them of the special day. If you are wanting to have a diamond necklace but still be simple then this heart with a diamond floating at the top of the heart is beautiful and would be stunning for a bride who is wearing more of a sweetheart neckline. It is simple and understated but just gives a glimpse of sparkle from the diamond. This is an older piece in my collection but I have worn this to so many weddings and I always get compliments when I wear it. Another piece of jewellery that is one of my favourites to wear at weddings is my pearl necklace from Florida that has a small diamond. I know pearls are fairly traditional and I would not personally wear a string of pearls but I think this necklace is beautiful. I don't often wear gold jewellery, but the gold pearl is stunning, especially if you are going to a destination wedding and have a slight tan. Plus its not so large that it will distract you from the outfit. I actually picked out the oyster shell and this was the pearl that was inside, so if you are able to do that with your bridal party then it would be something that they would treasure for the rest of their lives. Finally, if I am wearing a simple dress then sometimes I will wear jewellery that is more detailed. 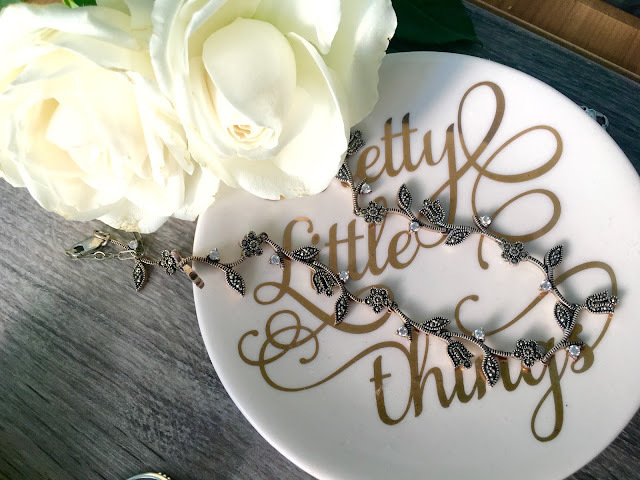 I love this necklace which has a floral and leaf design, and has some sparkle in it as well. This sit perfectly on the neck and is gorgeous with a simple dress that is not too bold. 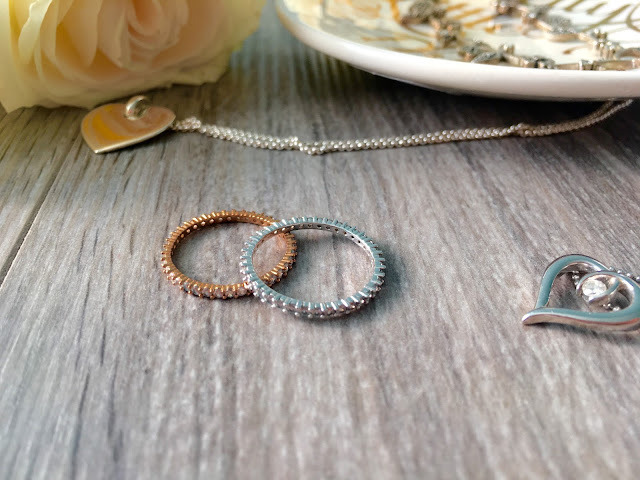 I love jewellery and I only have a small collection of core pieces that I wear on a regular basis. I think all of these options are perfect for weddings; whether you are the bride, a member of the bridal party or a wedding guest. There are other options out there and these are just my personal preferences for when I choose my jewellery for a wedding. Also you don't have to spend a fortune on jewellery and can buy beautiful pieces that will not break the bank.